I am seriously fed up with domestic news coverage. It's banal, repetitive and parochial. And, that's on a good day. If one were to watch a batch of NBC, Fox, CBS, CNN and MSNBC coverage, one would think the world begins in Hawaii and ends somewhere in Maine. It doesn't. 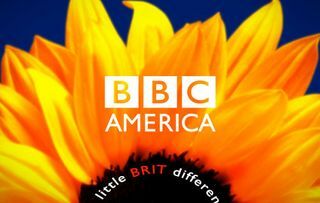 That's why I've wholeheartedly embraced BBC America as one of my primary sources of news and information. Where else would I learn of the Iberia Airlines/British Air merger? Where else would I learn about the unrest in Kyrgyzstan? And, where else would I see commercial plugs for the latest installments of 'Dr Who'? There are many reasons why the sun is setting on the U.S. empire. One of the prime drivers is our incessant and myopic view of life. We believe the rest of the world, if not the entire universe, revolves around the United States. Sadly, the inverse is true. America is increasingly less relevant. As our global deficit rises, our relative importance declines. That's why it's so important for those of us in communications to understand what the REST of the world thinks is newsworthy. They're not concerned about Charlie Sheen's latest spousal abuse charge. Nor do they care about American Idol, the start of yet another major league baseball season or the Tea Party's views on what's wrong with Washington, D.C.
With BBC America, you'll see far less coverage of Obama's game of HORSE with CBS's Harry Smith and far more insight into what really matters: namely, the latest Middle East news as well as what's happening in emerging First World powers such as Brazil, India and China. You'll see little, if any, mention of the latest Hollywood scandal (think: Sandra Bullock) and nothing about the latest murder/suicide in Boynton Beach. It's far too late for America to turn back the clock. But, American PR types like you and me still have a window of opportunity with which to understand how dramatically the world has changed (and how we can continue to play a key role in the dissemination of news and information). Whether you're a student, a PR professional or, heaven forbid, a medical supplies executive, do yourself a favor: pick up a copy of the F.T., listen to BBC Radio or, better yet, tune into BBC America's nightly newscasts. I guarantee your P.O.V. will change faster than Ms. Bullock's marital status. 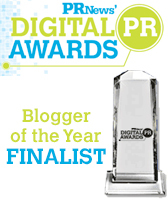 Today Deb Brown, Partner and Managing Director Strategic Development, has written the following special guest post. Jon Stewart of “The Daily Show” hammered him Thursday night. This show created a lot of buzz, which I’m sure has been a home-run for “The Daily Show’s” ratings, and many reporters called Stewart the clear “winner.” However, there’s one topic that I haven’t seen covered in the articles I’ve come across (although, admittedly, so much has been written on the topic that I might have missed it). The topic I find the most interesting is how a show that’s on a comedy channel turned one of the supposedly most respected financial news networks in the country upside down. 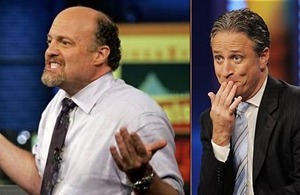 Now, I happen to be a fan of Jon Stewart’s and I think he’s very smart, but what does this say about CNBC and the experts we allegedly trust? But, come on… Stewart is a comedian. What kind of lasting damage could he possibly do?